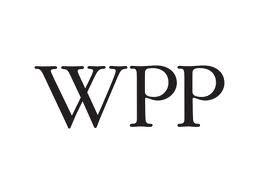 WPP‘s wholly owned operating company VML, a digital marketing company which is part of the Y&R network, has acquired IM2.0, a digital advertising and media agency based in China. The deal is subject to regulatory approval. The terms of the deal were not disclosed. Established in 2008, IM2.0 provides a range of services, including online strategy, creative design, website development and maintenance, online campaigns, mobile application development, media optimisation and data analytics. IM2.0 is one of China’s leading and most successful pure play digital agencies. Named 2013 Agency of the Year in China by the Mobile Marketing Association, IM2.0’s client portfolio includes Dell, adidas, Mondelez, China Merchant Bank and Haier. IM2.0 employs approximately 230 people in Beijing and Shanghai. For the year ending 31 December 2012, IM2.0’s unaudited revenues were RMB 72 million, with gross assets of RMB 200 million.